A Cup of Tea. A Pen. A Sunday Afternoon. 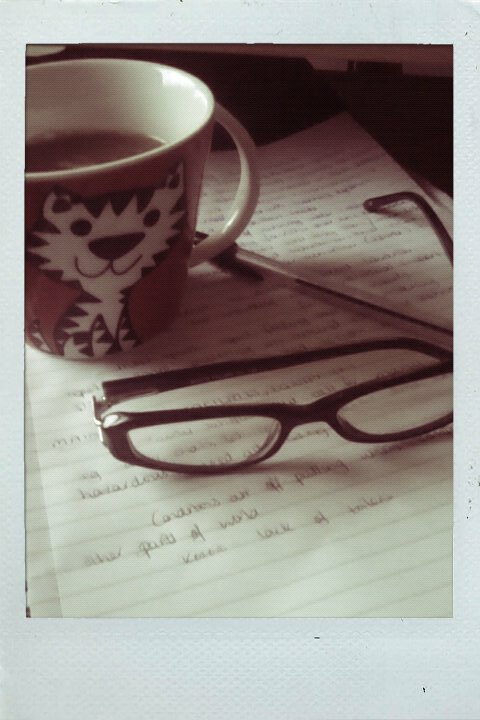 A cup of tea and a pen, and a Sunday afternoon. The call of seagulls filtrate through my bedroom window. I look outside to spot them and my eyes are instead met by the calm of a clear, white sky. Lighter evenings. Longer days. Spring has arrived and with it has come a new chapter in this incomplete novel of life for which we compose our own storyline . As the smell of roast lamb makes it’s way up the stairs, I look at my work and remind myself that it’s time to focus, Sophie, focus. Sunday afternoons are the chill-out time of the week, the time to relax, the time to focus within, to inhale-exhale, to light some candles, to listen to instrumental tracks, to feel at peace. Every other day of the week is usually so busy, so frantic. Our time to reflect is lost in the constant movement and pushed further and further down our list of priorities, below the likes of ‘create that spreadsheet‘ or ‘buy those train-tickets’. But Sundays. They make me think about everything that’s really important in life. Family. Friends. Life experiences. Travel. Adventures. Sunday is the day when all the negative things in life become irrelevant. A day to let go of our worries, a day to acknowledge and walk away from that which is holding us back, a day to shelve any anger and a day to forgive. The horizons in front of you are broad and bright when the body is free of negativity and full of love and passionate desire. Sundays are for getting nostalgic for the past but excited for the future. A day of appreciation and anticipation. Fond memories twinned with the birth of new dreams. New targets and ideas. A sense of exuberant spirituality. Life is here and we are living it. I love them all, on Sunday afternoon. A classic piece from the French master of electronics. One of my favourites for a Sunday afternoon.